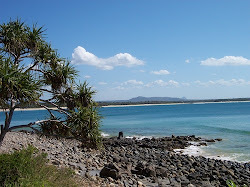 It's winter in Noosa and I have developed a case of Fire Pit envy! 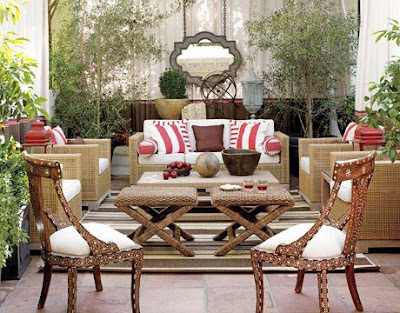 I really do believe for the perfect winters evening there is nothing like an outdoor fire pit or a cosy outdoor room. 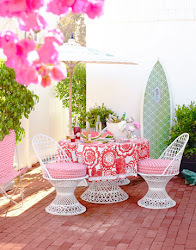 In a garden or on a cliff top, this is where I want to unwind at the end of the day! 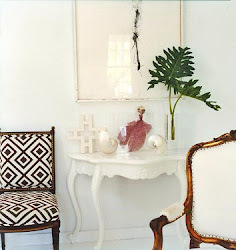 Understated glamour...just imagine the sunset..Just add champagne! You can turn any cosy corner into a special winter hideaway. 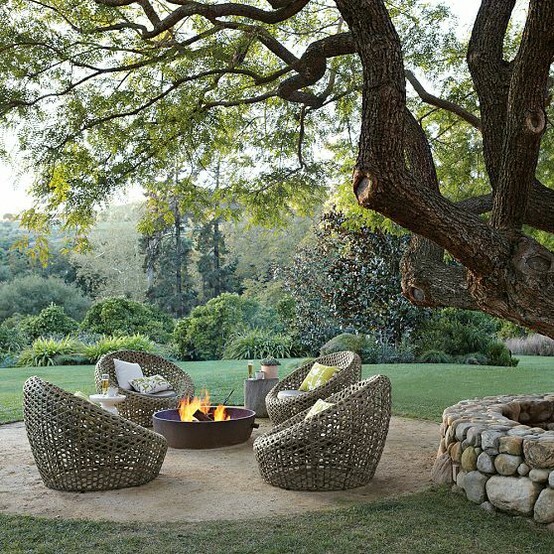 Love the use of bamboo to enclose the warmth of the fire pit in this courtyard corner. How perfect is this outdoor room? The cosiest corner to enjoy this amazing fireplace and a glass of red.. 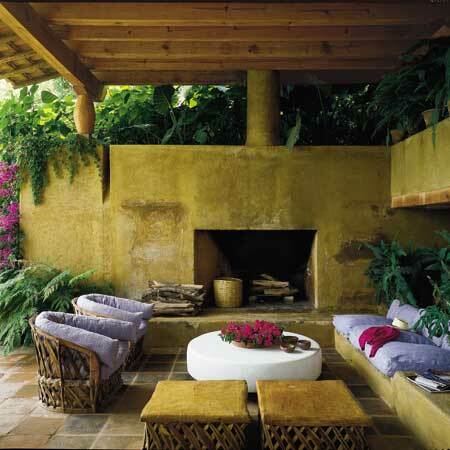 Tropical outdoor rooms do fireplaces well with colours taken from nature - love the clay coloured render against the greenery and the pop of fuschia flowers.. 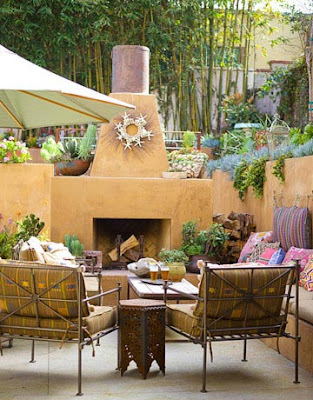 This Moroccan inspired outdoor room is the perfect cosy hideaway...Yes I am definitely dreaming of the perfect outdoor winter setting. So which would you choose? 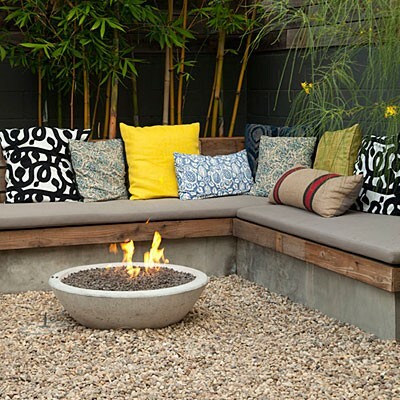 In the countries that have winter, the fire pit table can certainly serve the purpose of providing warmth and comfort for the family. On a cold winter night where everyone is indoors away from the biting cold, the family can gather around the pit table much like they would do around the camp fire. It can be the perfect night to roast the marshmallows and hotdogs for relaxing and pleasant bonding moments look here.